As the largest lake in King County and the second largest lake in Washington State (only second to Lake Chelan), Lake Washington is a stunning freshwater lake smack in the middle of Seattle and Bellevue. Because of this incredible location, in addition to Seattle and Bellevue, Lake Washington waterfront real estate is enjoyed by residents of Kenmore to the north, Renton to the south, and Kirkland in the east. The span of Lake Washington can be traversed by crossing three floating bridges, two of which carry I-90 from Seattle's Mount Baker neighborhood to Mercer Island, then from Mercer Island to Bellevue. The third bridge carries State Route 520 from Seattle's Montlake neighborhood across the water to Medina. This bridge, named the Governor Albert D. Rosellini Bridge, is the longest floating bridge in the world at just under 7,500 feet (2,285 meters) in length. Lake Washington is a massive freshwater lake in the Greater Seattle area, bordered by Seattle to the west, Bellevue and Kirkland to the east, Renton on the south end, Kenmore on the north end and it surrounds Mercer Island - the most populated island in a lake within the nation with a population of nearly 23, 000 residents. This is the second largest lake in the state of Washington at nearly 34 square miles. There are many places to access its shores throughout the region. Beaches, parks and restaurants are numerous around the entire shoreline. If you don't have your own boat or other watercraft, there are a several places that offer boat, kayak and canoe rentals allowing visitors to get out on the water. One of the biggest events of the year held at and around the lake takes place over the last weekend of July or the first weekend of August, Friday through Sunday. Seafair technically begins in early July with a number of different events taking place throughout the region. The Seafair Cup over Seafair weekend attracts tens of thousands of spectators on the shores of the lake and the water itself. This is one of the most popular events featuring hydroplane racing on Lake Washington. There are nearly an endless number of parks from which to access the lake or take in magnificent views. If you want to watch the hydroplane races, Genesee Park in Seattle at 4316 S. Genesee Street is an ideal spot. This is a lovely park with a running trail that offers fantastic views of the water as well as two soccer fields, a playground and a dog park. Warren G. Magnuson Park found at 7400 Sand Point Way NE between 75th Street and N 62nd Avenue offers a boat launch and is also a great place to swim, watch the boats go by, fly a kite with a designated hill ideal to do just that or let you dog play in the dog park. In Renton, Gene Coulon Memorial Beach Park offers 57 acres of land and water at the southeast corner of the lake. Here you'll find a swimming beach and a great place to hunt for freshwater clams or look for turtles, ducks, crayfish and fingerling. The park offers eight boat launch lanes as well as a fishing pier, 1.5 miles of paved trail along the water with access to the Lake Washington Loop Trail, tennis courts, playground equipment, horseshoe pits, volleyball courts, picnic shelters, food concessions and more. 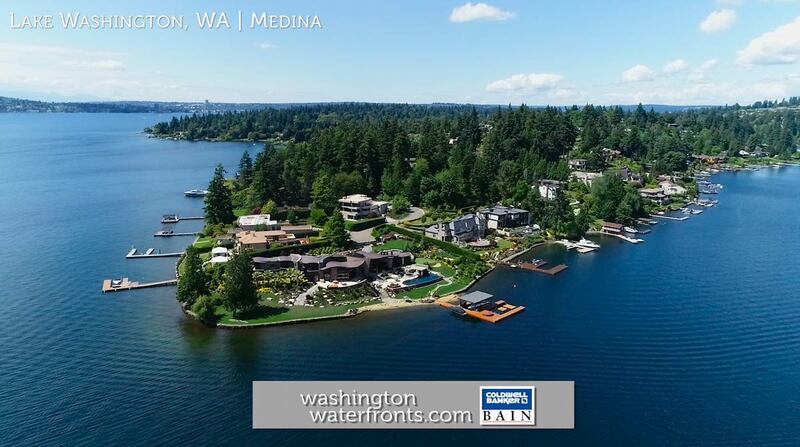 On Mercer Island, 77-acre Luther Burbank Park includes nearly a mile of Lake Washington waterfront with spectacular views of the lake and a swim beach with the opportunity for boating and fishing right of its shores. There is a wide variety of wildlife here as much of the park is undeveloped including 135 bird species, 50 species of waterfowl, raccoons, beaver, muskrats, tree frogs and more. Cascade Canoe & Kayak Centers offers kayak and canoe rentals on Lake Washington from two different locations, the Bellevue - Entai Beach Boathouse at 3519 108th Ave SE in Bellevue or the Renton Boathouse at 1060 Nishiwaki Lane. The lake is open to fishing year round and holds dozens of species with the principal game fish including coastal cutthroat trout, rainbow trout, large and smallmouth bass, black crappie and yellow perch. There are also occasional opportunities to fish for chinook, coho and sockeye salmon.